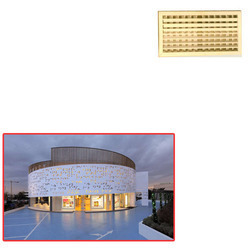 Our range of products include perforated grilles for office. Perfect shape and swift movement of our organization has made us instrumental in offering a durable quality Perforated Grilles for Office. Our workforce uses the latest techniques and excellent quality material for manufacturing this grill. In addition, the whole range of grill is inspected on well-defined parameters, in order to provide flawless range at customer’s end. This grill is recognized for their unmatched quality & can be availed from us at nominal rates. Looking for Perforated Grilles for Office ?